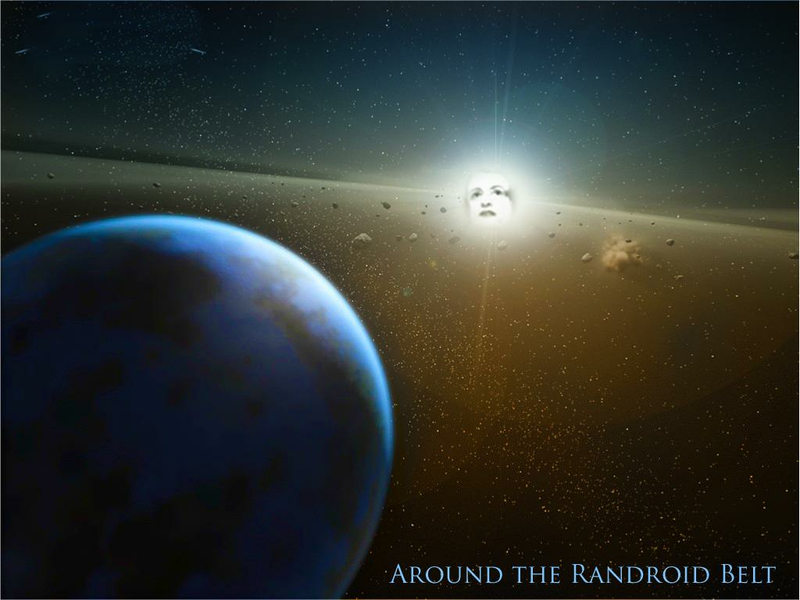 Somewhere on the outer fringe of the Randroid Belt wafts a small, gnomish, chunky piece of rock — no bigger than brontosaurus excrement (even if twice as fetid and half as intelligent) — called "Planetoid Perigo." 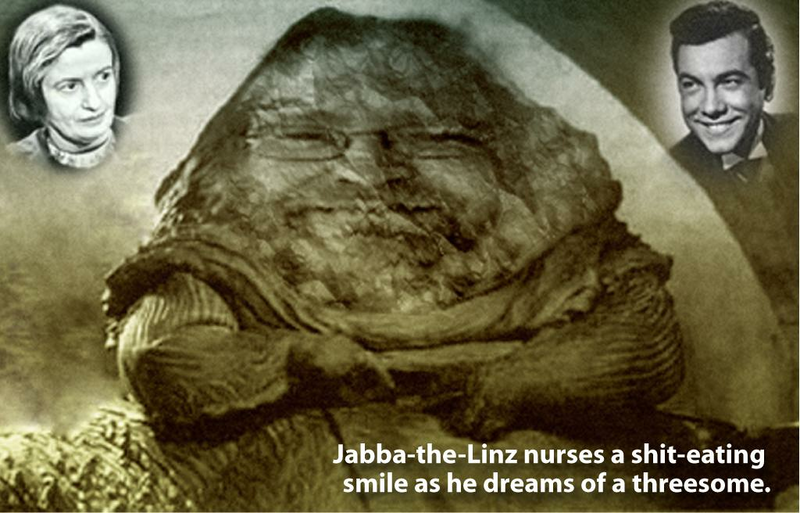 It is called this by its sole inhabitant, a slimy, semi-conscious creature of undecided phenotype (and unknown genotype), named Jabba-the-Linz. We have the rare opportunity of witnessing this fat, slothful creature in the middle of its favorite past-time: fantasizing the role of "Lucky Pierre." NOTE: Please turn OFF the flash on your smart-phone cameras if you wish to take pictures, as we don't want to startle the creature out of its self-induced stupor.